Success for the Vancouver Island Contingent! 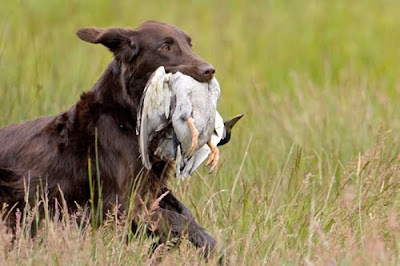 Both Lindy and Sam did very well at the Salt Chuck Hunting Retriever Club UKC hunt tests on Vancouver Island. Lindy and Rod passed their first two legs towards her Started Hunting Retriever title. 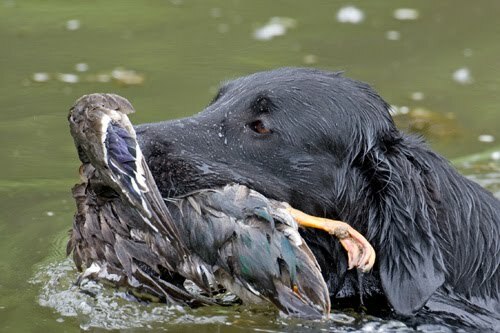 Sam and Sylvia passed their first Seasoned Hunting Retriever leg, which requires a variety of difficult tasks, including both land and water blinds. Congratulations to both dogs and especially to their hard-working owners!! Lindy has also been busy in agility, rally and obedience. She earned her CKC Intermediate jumpers with weaves title May 16 and picked up one of the three legs towards her Excellent JWW degree. This past weekend, she got her Rally Excellent title in three passes, with a fourth one to spare. In obedience she gained two more Open B passes on two tries. Congratulations again to Lindy and Rod! 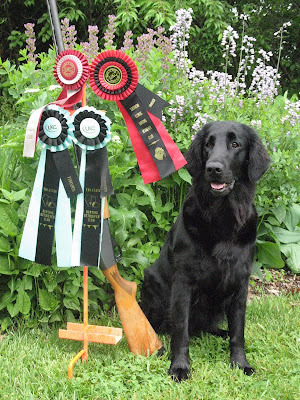 Last weekend Annie finished her UKC Hunting Retriever Championship in fine style. This is a very advanced field title requiring the dog to complete triple retrieves on land in the water, as well as both land and water blind retrieves. Four passes are required at this level to finish the title. We are extremely proud of Annie and her owners, Brian and Katy, for becoming Blazingstar's first HRCH! CONGRATULATIONS!! Annie is now HRCH Blazingstar Beaufort CDX SH.